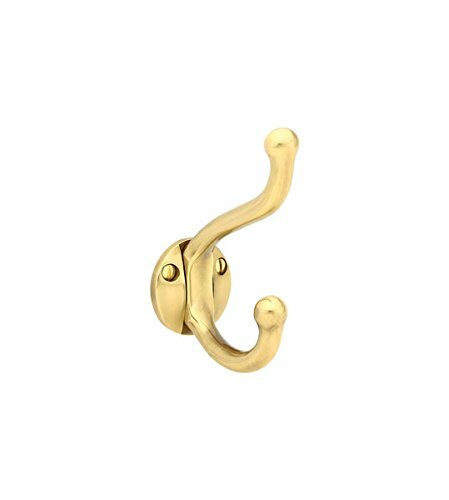 Emtek, 2606, Robe Hook, Solid Brass Bath, Accessory, Double, All Emtek items are made to order. 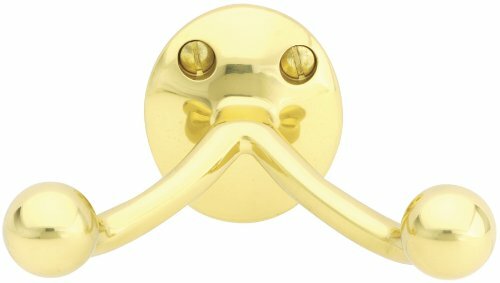 4 Height Solid Brass Double Robe Hook from the Brass Bath Hardware Collection For an enticing, beautiful look, Emtek's Brass Bath Hardware Collection cannot be beat. 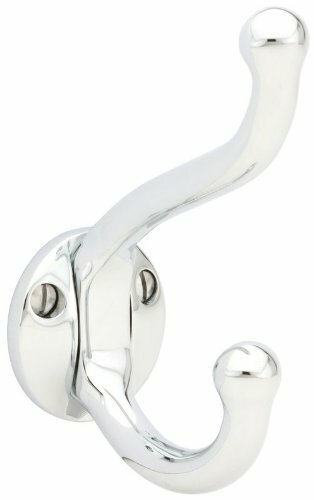 Like all Emtek products, the craftsmanship and materials that go into their bath hardware is top quality. 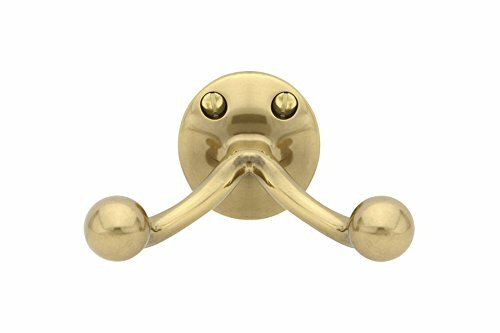 Emtek's Brass Hardware coordinates perfectly with other brass bath and household hardware finishes. 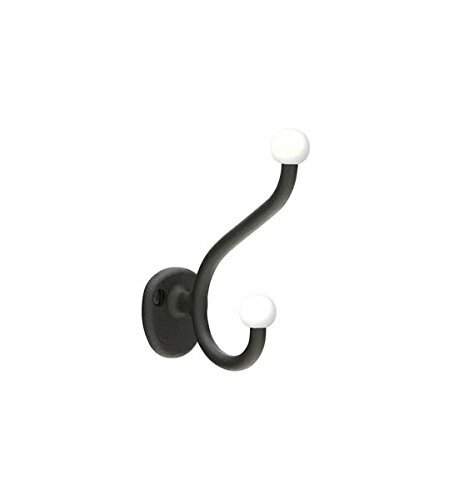 Features: Solid Brass Height: 4 Projection: 2-5/8 Emtek is dedicated to bringing interesting, well made hardware back into American homes. 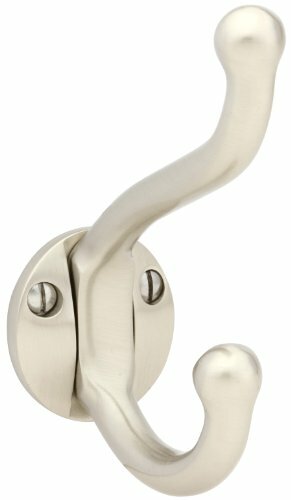 Emtek's mission is to satisfy the higher expectations of today's homeowners with regard to door locks. 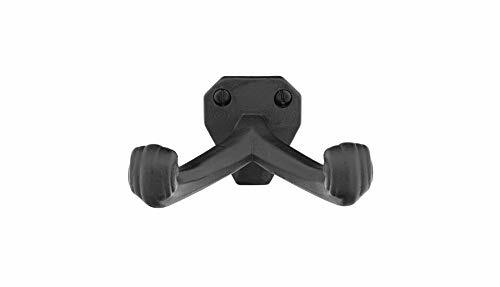 They strive to provide a broad and interesting range of products that consumers can use as elements of decor, and not just as a way to latch a door. 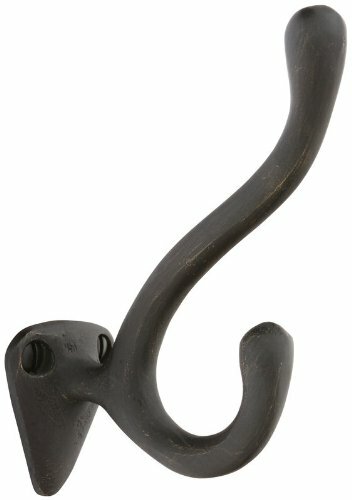 3-9/16" Width Cast Bronze Double Hook from the Sandcast Bronze Collection Emtek's Sandcast Bronze Collection is cast from molten bronze one piece at a time into authentic rustic designs. 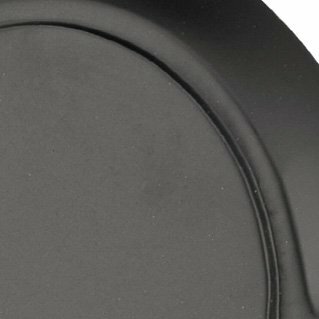 The Sandcast Collection's patina finishes are achieved using the traditional techniques of bronze sculptors. With pitted surfaces and hand-finished patinas, these uniquely American designs resonate a calm strength. 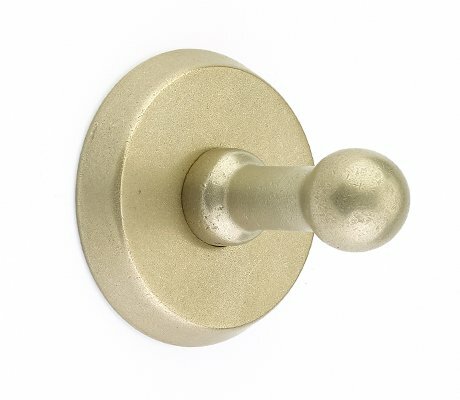 Features: Cast Bronze Width: 3-9/16" Height: 1-1/2" Emtek is dedicated to bringing interesting, well made hardware back into American homes. Emtek's mission is to satisfy the higher expectations of today's homeowners with regard to door locks. 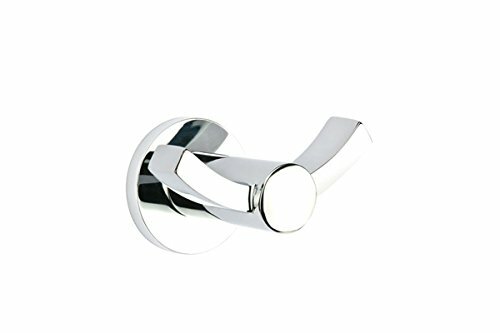 They strive to provide a broad and interesting range of products that consumers can use as elements of decor, and not just as a way to latch a door. Additional Emtek Information Emtek 2306 Specification Sheet Emtek 2306 Rosette Specification Emtek 2306 Installation Guide View Emtek Manufacturer Warranty Shop All Emtek Products Do not use prints made from this website to mark distances. Due to individual printers, dimensions on installation instructions may not print at an accurate scale. 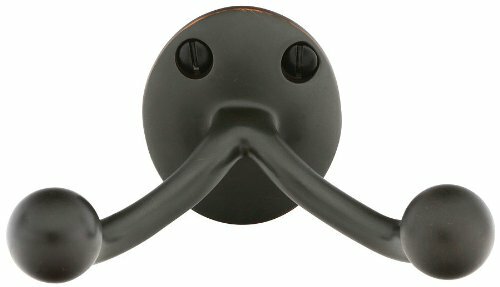 Emtek, 86106, Robe Hook, Sandcast Bronze Bath, Accessory, Double, All Emtek items are made to order. 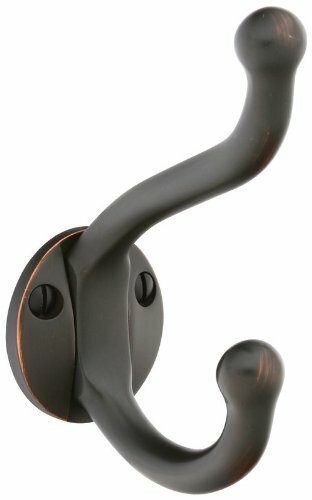 4-1/4 Height Cast Bronze Double Robe Hook from the Sandcast Bronze Hardware Collection Emtek's Sandcast Bronze Collection is cast from molten bronze one piece at a time into authentic rustic designs. The Sandcast Collection's patina finishes are achieved using the traditional techniques of bronze sculptors. 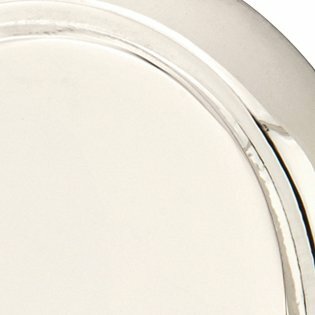 With pitted surfaces and hand-finished patinas, these uniquely American designs resonate a calm strength. 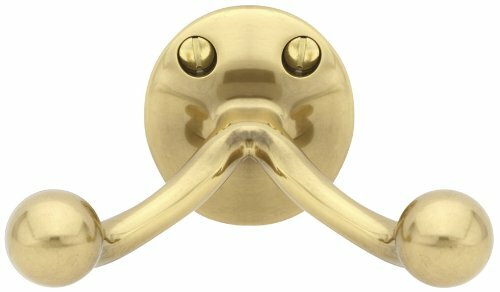 Features: Cast Bronze Height: 4-1/4 Emtek is dedicated to bringing interesting, well made hardware back into American homes. Emtek's mission is to satisfy the higher expectations of today's homeowners with regard to door locks. 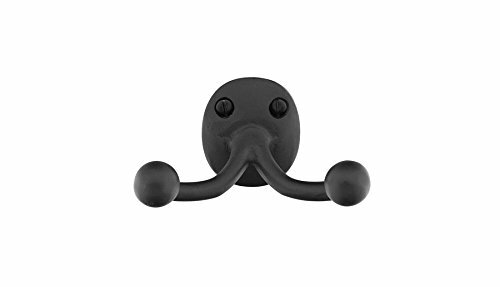 They strive to provide a broad and interesting range of products that consumers can use as elements of decor, and not just as a way to latch a door.